Influencer marketing isn’t optional in China. More than anywhere else, consumers rely on reviews by peers and bloggers to tell them what’s hot before making purchases. KOLs have become key for brands here. The ability to research and track their campaigns makes all the difference. Get the most relevant bloggers for your target market, from fashion and parenting to lifestyle and travel. PARKLU lets you see which voices will share your brand’s story most effectively. Search for mentions of your brand and peer brands with one click. Keep tabs on selected influencers and competitors. Know what they’re saying, and discover what content works. Influencer marketing the old fashioned way takes up to 60 hours for just 10 KOL campaigns. PARKLU reduces that by more than 50%, allowing brands to run campaigns continually and effortlessly. Visualize your progress and results all in one place. Post-level metrics show what’s working and our media value calculator compares your results to other marketing strategies. Access our database of 10,000 vetted KOLs in China. Filter for location, industry, gender, platform, price, and more. We release payment only when you’re satisfied and issue official fapiao invoices. Paypal, Alipay and all major credit cards accepted. Work with KOLs specializing in fashion, beauty, F&B, travel, parenting, health & fitness, home & design, and more. Summary of your KOL campaigns, showing reach, shares, comments, likes, and more. Communicate and negotiate directly with KOLs. Track click-through traffic and sales conversions. Know when and where your packages have been delivered. For brands who run China influencer marketing in-house. Post your campaign invitation to select from our community of interested KOLs. Designed for more advanced KOL campaigns looking to scale efficiently and manage on-going engagements. For brands low on bandwidth and who value transparency. We do all the work! Ideal for agencies, distributors and retailers managing multiple brands. Do you have a trial package? 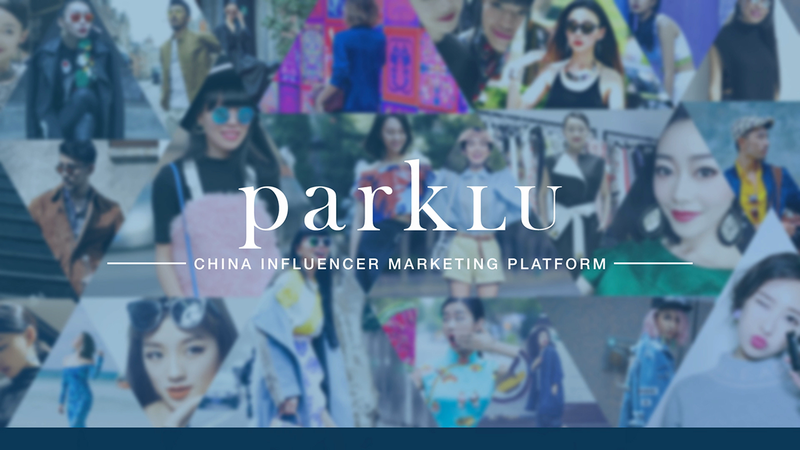 ParkLU operates on a monthly subscription basis, but brands are more than welcome to post a campaign invitation on our KOL Marketplace for FREE, allowing thousands of influencers to view and apply for the collaboration. We charge 15% of the KOL cash spend, and 6% of the in-kind product value. The basic Standard plan starts at US$500 per month for one brand plus a platform fee of 15% of the KOL spend. For companies and agencies managing multiple brands, we offer a discounted platform fee of 12%, as well as a package price depending on the number of brands. How does payment work for campaigns? What payment types do you accept? ParkLU provides the full payment solution for KOLs. The agency or brand pays ParkLU before the campaign start date, and ParkLU distributes payments to KOLs after the client is satisfied with the job. We also take care of the fapiao invoicing. We accept payments with Paypal, Alipay, VISA and Mastercard. What information can I find on the influencers’ profile pages?